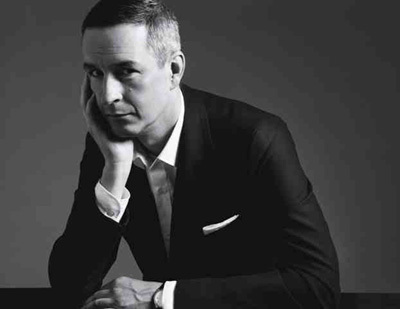 Dries van Noten Photo by: Mikael Jansson. Description: Dries van Noten will receive The Couture Council of The Museum at FIT’s fourth annual Artistry of Fashion award at a benefit luncheon at Cipriani 42nd Street in New York city on Wednesday, 9 September 2009. FIT’s glamorous annual gala luncheon, will be hosted by its founding Couture Council chairs Liz Peek, Yaz Hernandez, and Sarah Wolfe, and founding luncheon chair Charlotte Moss. The event, for the fourth year in a row is the first event of New York’s fashion week. Iman, Hamish Bowels, Patricia Field, Ralph Rucci, Andre Leon Talley, Isabel and Ruben Toledo, Diane Von Furstenberg, and Nina Garcia, editor-at-large for Elle magazine. The Junior Chairmen are Amanda Hearst, Samantha Thompson, Alexis Tobin, and Whitney Wolfe.